Any trip to the Black Hills region of South Dakota should include a stop in Custer City. No gear? No worries! We offer hiking gear rentals in the Black Hills: backpacks, hydration, hiking poles, pet bowls, maps & more. This comfortable motel is just minutes from Crazy Horse Memorial and Mount Rushmore. Discounts available. Get cable TV with HBO and high-speed Internet. Economy lodging at Calamity Peak! These western-style accommodations are close to all the sights you want to see in the Black Hills. 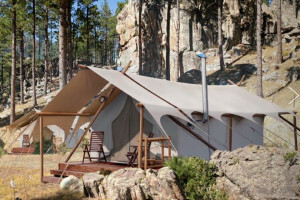 Close to Mount Rushmore, Wind Cave, Custer State Park and other Black Hills attractions. Large indoor swimming pool, sauna, hot tub, flatscreen TVs. Locate the perfectly situated Comfort Inn in the Black Hills region. Friendly atmosphere and comfortable rooms. You'll enjoy the ideal South Dakota getaway. A charming little resort with cabins and horseback riding. Cabins and campground with RV and tent sites. A beautiful mountain location among the towering pines. Only two miles to Custer State Park. Discover all that Travel Lodge has to offer on a vacation to the Black Hills. Comfortable rooms with plentiful amenities to make your stay perfect. Home of the best homemade pies in all of the Black Hills. Superb rooms, cabins & family log lodges plus vacation Packages, pool, beautiful property & playground, pet friendly and near all popular attractions including the Badlands. You'll get the best of customer care and clean rooms with lots of amenities. Centrally located. Only minutes from Black Hills major attractions. Custer is 42 miles southwest of Rapid City. Although a small community, Custer does have many services and amenities geared for visitors to the Black Hills region. Various well known attractions can be found within a 30 minute drive from town. Established in 1875, Custer City, South Dakota is the oldest city in the Black Hills region of South Dakota. 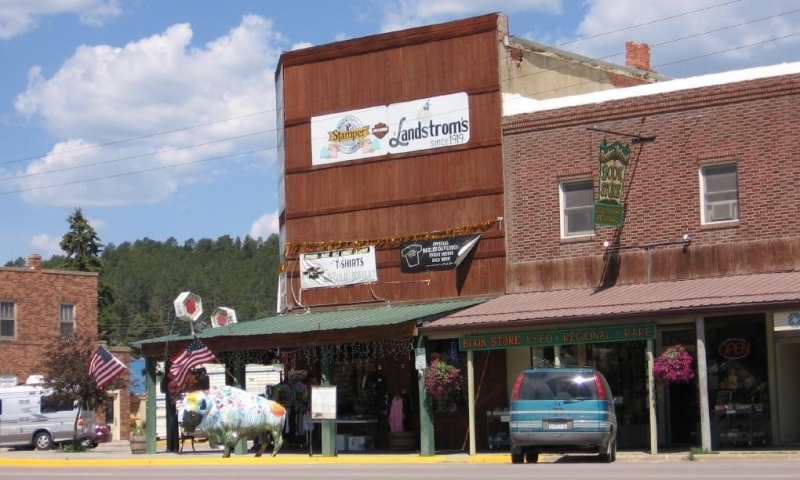 This small community has a unique setting – surrounded by thick forests of Ponderosa Pine, the city also contains outcroppings of granite stone. Custer City, South Dakota can be found approximately 42 miles southwest of Rapid City, SD along near the junction of US Highway 16 and US Highway 385. It is found in the west central portion of the State, just south of the geological center of the Black Hills. Small and quaint, with a population of roughly 2,000, Custer City offers a large inventory of motels, campgrounds, restaurants and attractions, which makes it an ideal base camp for touring in the southern Black Hills. There is much to see and do in the Custer area including both in town and out of town recreation. In town, residents and visitors enjoy three city parks, ball fields, volleyball & tennis courts, horseshoe pits, a community swimming pool, nine hole public golf course, and a skateboard park. Mountain bike enthusiasts love to use Custer as their jumping off point for all the various trails and adventures in the Custer State Park. This is also a good starting point for hiking and other park related activities. Within a 30-minute drive from Custer you can visit Mount Rushmore, Crazy Horse Memorial, Jewel Cave and Wind Cave National Parks, and various other areas within the 73,000 acre Custer State Park. Custer can be found just an hour’s drive southwest of Rapid City, SD. Rapid City is perhaps the most well known of the many communities that can be found through out the Black Hills region. Furthermore, Rapid City can be found sitting alongside Interstate 90, making it an easy marker for exploration to the other communities. Official site for the City of Custer, South Dakota. City of Custer department of Parks and Recreation. A complete history of Custer, South Dakota.